We’re Answering Your School Bus Questions! Q: What size are your school buses? A: Michigan school bus sizes: Our largest school bus holds 48 passengers, two to a seat, and 72 passengers, three to a seat. 5th grade and under are the only ones that can sit three to a seat. Keep in mind, 72 passengers is three to a seat with only kids on board and no adults. Our regular size school bus holds 44 passengers, two to a seat, and 66 passengers, three to a seat. Again, 66 passengers is three to a seat with only kids on board and no adults. 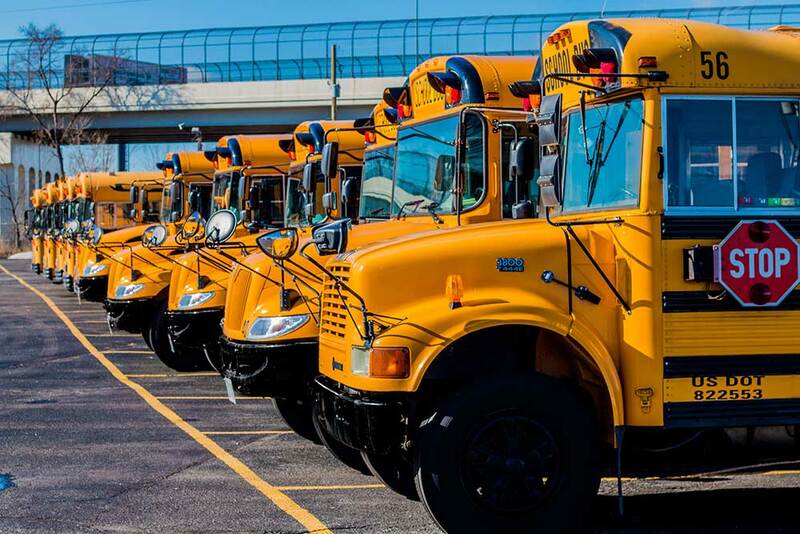 Ohio school bus sizes: Our largest school bus holds 52 passengers, two to a seat, and 78 passengers, three to a seat. 5th grade and under are the only ones that can sit three to a seat. Keep in mind, 78 passengers is three to a seat with only kids on board and no adults. Q: Do school buses have storage areas? A: No, our school buses do not have storage compartments. This is an amenity that our full-size motor coaches have if that is something you are looking for. Q: Do school buses have A/C? A: No, our school buses do not have A/C, but are equipped with heat. Q: Do school buses have CD players or aux ports? A: No, only AM/FM radio. Our full-size motor coaches have a CD player and our party bus has an aux port, if you are interested in those amenities. Q: Can anyone rent your school buses? A: Yes, as long as you are over the age of 18. Q: Can school buses be used for wedding shuttles? A: Yes, they are a great economical alternative to our mini buses and motor coaches. Q: Do school buses go out of state? 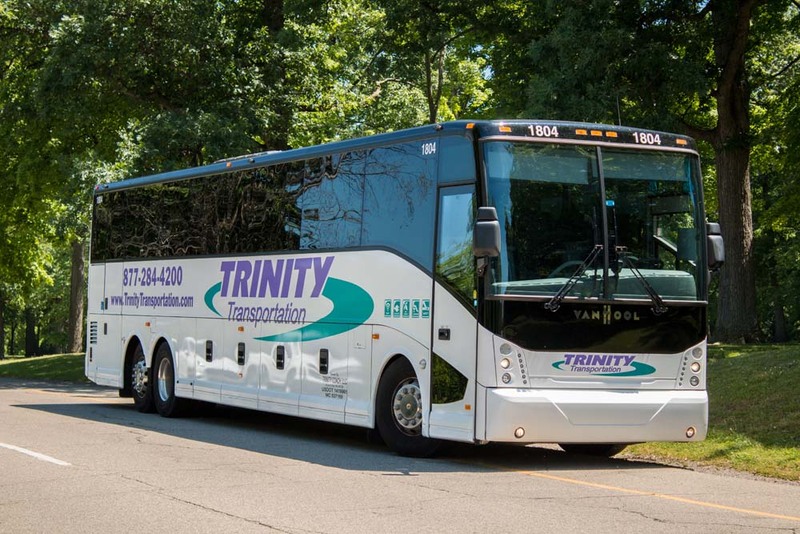 A: Our school buses can go out of state since we have the proper licensing, but we would recommend that if you are planning a long distance trip to rent our full-size motor coaches. School buses are usually utilized for local service. Q: Do school buses have an intercom? A: No, that amenity does not come on our school buses. Q: Can you rent a school bus for a night event or for a weekend event? A: Yes, they are available 365 days of the year. Q: Do you have wheelchair accessible school buses? Q: Do you have harness buses? Q: Do you have seat belt school buses? We have received many questions about our fleet over the years, so we’ve answered the ones heard most frequently and separated them by division for your convenience. Keep an eye out for two more installments: school bus and sedan! Q: On overnight trips, is the driver’s room included in the price of the quote? A: No, the driver’s room is not included in the price provided by our reservations specialists. Driver accommodations need to be made by the chartering party. If the chartering party does not make lodging accommodations for the driver, they will be billed for the rooms at a minimum of $150 a night or the cost of the room. Q: Can I bring a cooler onto the bus? A: Yes, you may bring a cooler on any of our vehicles. Glass bottles are prohibited, and please clean up after yourself or you may be subject to cleaning fees and/or damages. Q: Do I pay for parking and tolls? A: The cost of bridge tolls, highway tolls, entrance or other fees (e.g. parking, park entrance, etc.) are not included in the cost of the charter. It is the responsibility of the chartering party to pay for these expenses. Q: Do coach buses go out of state? A: Yes, our coach buses can go out of state and into Canada. We’ve sent our coaches to almost everywhere in the continental United States, even as far as Alaska. Q: Is there a discount for renting more than one bus? A: The quotes we provide for service will take all variables into account to provide you with the lowest possible rate for your charter. Discounts are based on all variables and all details provided. Q: Does your party bus have a sound system? What about a refrigerator? A: Yes, our party bus has a high quality sound system with an aux port and CD player. It is also equipped with five mini bars and enough cup holders for your entire party.